Vital for your survival. With the dawn of a zombie apocalypse nearly always nigh, best to have some snack organs on hand for use as a distraction. Store that and more in this retro metal lunch box featuring an upgraded handle and an amazing embossed design. 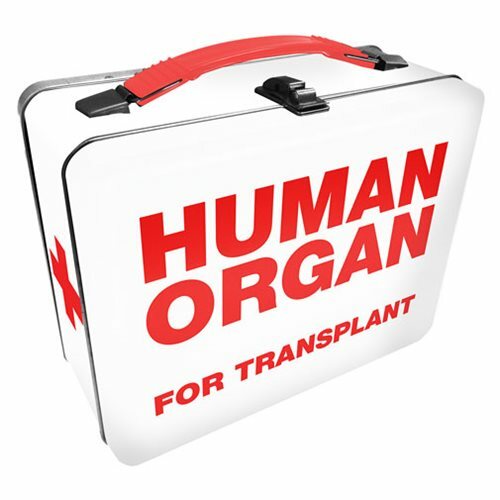 The sturdy Human Organ Gen 2 Fun Box Tin Tote measures approximately 8-inches wide x 7-inches tall x 4-inches deep. Ages 14 and up.